Every now and then everyone needs a helping hand, and that is the exact purpose for a sidekick. They are there to bail the “main man” out of trouble, provide a sounding board and a word of encouragement when things get tough. I think you will agree that all the sidekicks listed below provided support, encouragement and a helping hand or hoof when needed. While his way of speaking certainly wasn’t politically correct (“Him say man ride over ridge on horse.”), Tonto always had valuable advice for the Lone Ranger, such as which way the bad guys went. The very fact he stuck around even though the word “Tonto” can mean “fool” or “idiot,” just makes him even more loyal, as well as patient with Mr. Lone Ranger. Without Tonto no one would be using the phrase “Kemo Sabe” which means “faithful friend.” And he was certainly that. While Barney is a spin off of Ed Norton from the Honeymooners, who narrowly missed being on this top sidekicks list, he came into his own as the best pal of Fred Flintstone. Barney Rubble was usually the calming Yin to Fred’s raging Yang. And his affable, jovial manner usually influenced Fred to more thoughtful decisions. While he was never looking for the next big scheme or the next best thing, as did Fred, Barney was certainly the next best thing to Mr. Flintstone. With Dr. Watson a catch phrase was born, “It’s elementary, my dear Watson!” Even though to Dr. Watson it was usually anything but elementary and had to be explained in detail for him and the reader to understand. Here’s a thought: Was Sherlock Holmes just rubbing it in a little because Watson was a doctor and he wasn’t? Maybe there was a little jealousy possibly? In any case, Dr. Watson was the perfect sounding board helping Holmes work through the crime and without Watson who would do the narration? While being a Vulcan on the starship enterprise, Mr. Spock was only half human and therefore was puzzled at many human qualities, especially our emotions. Although our humor was sometimes beyond his comprehension he added many humorous moments with his “logical” dry quips. As he was often the calculating brain behind many of the plots on Star Trek, his role was sometimes reduced to that of the problem-solver, but more than not he logically presented reason and thought to Kirk’s fiery “ask-questions-later” approach. Live long and prosper…as a sidekick. While most sidekicks provide much-needed support, Barney Fife instead provided laughs and lots of them. Often Barney caused more problems than he solved and the “Andy Griffith Show” was all the better for it. And even though, as deputy, Barney was only allowed to carry one bullet (and he had to carry that in his pocket), you couldn’t ask for a better protector and friend for your Sheriff. But if you think about it, Andy Taylor probably kept him around to make himself look better. After all, would you want to lose your Sheriff if Barney Fife was next in line? Okay, this sidekick may appear to be a stretch at #5, but in terms of popularity and notoriety I think you can see Donkey’s merits. As many sidekicks on this list, Donkey provides the softer side to his “main guy”. He helps Shrek relate to the world and helps the audience relate to Shrek by breaking down the walls and “peeling the onion” that is Shrek. Once you add in the humor along with the unquestioning loyalty, the annoying habits of Donkey just don’t seem so big. You have appreciate Donkey, just as Shrek finally does. He provides the heart Shrek always needed even if his big mouth came along with it. While a very few might argue that Han Solo was a sidekick to Luke Skywalker, I would disagree. Han is probably the more popular character of the two from Star Wars fame. Han Solo was to “big” to be a sidekick. So, that makes Chewy a perfect candidate for the #4 sidekick. A Wookie making the sidekick list is all the more impressive when you consider he never said a word we could understand. But grunts and growls along with expressive body language usually said it all. Being a “walking carpet” didn’t stop him from helping to save a galaxy far, far away. As Han’s trusted friend he became a gentle, guiding moral compass more than once, helping steer Han Solo and the Millennium Falcon in the right direction. Look up the word “loyal” in the dictionary and while you won’t find a picture of Samwise Gamgee, you probably should. Well, I’m sure it’s at least a synonym. This “fat hobbit” showed his loyalty and courage over and over. Among his credentials are: fighting a giant spider, battling numerous Orcs, leaving his home and following Frodo halfway around Middle-Earth then literally carrying a unconscious Frodo up a mountain filled with lava. Oh, and he walked into a lake knowing full well he couldn’t swim to follow his “master”. Maybe blind loyalty isn’t the best thing for a sidekick’s safety, but if he is your sidekick, you have to appreciate it. You might say it’s “precious”. Heeeeeeeeeer’s Eddy! 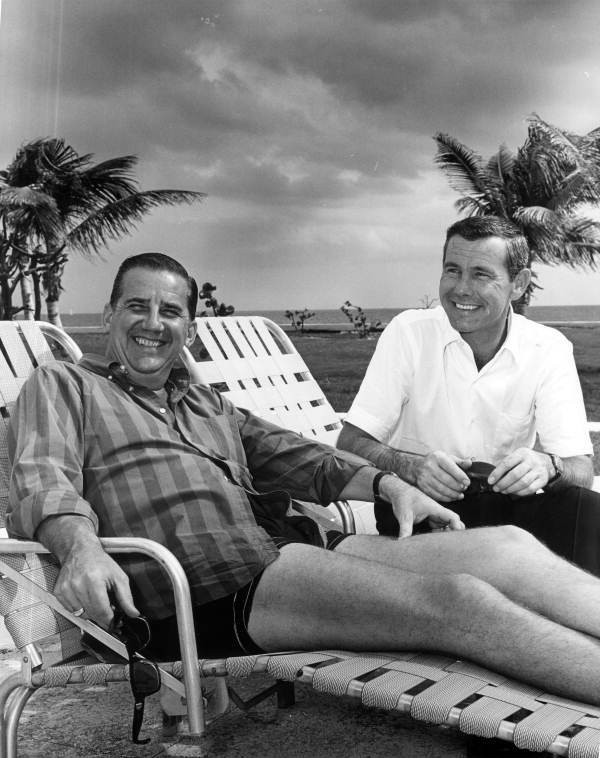 While sharing this list with my 17 year-old son he saw the name Ed McMahon and asked who he was. I was mildly surprised and felt really old, but even that couldn’t move Mr. McMahon down the list. He owns #2. He provided a cultural catch phrase when he opened every Tonight Show with the familiar introduction of Johnny Carson, “Heeeeeeeeeer’s Johnny.” Playing the straight man isn’t as easy as it appears and providing a live laugh track for Mr. Carson had to be trying at times. The fact that he was a valuable and contributing partner for over 30 years in the fickle beast that is television should prove his success as a sidekick. It should also be noted he is the only non-fictional person on this sidekick list. If that isn’t enough, as a sidekick he is easily the most financially soluble, being valued at 200 million dollars during the 90s. When you hear the word “Batman”, in the back of your head you most likely say to yourself “…and Robin”. If the name Batman seems to conjure the afterthought “…and Robin” with little conscious thought then you have to be doing something right as his sidekick, which acrobatically vaults you to the #1 sidekick. While Robin is important, it seems the person portraying Robin isn’t particularly important. Batman has had several different people in the Robin uniform including a female. But, you have to wonder at the true role Batman had in mind for Robin even though Robin has saved the “caped crusader” many times. The question comes to mind: Why has he has made Robin such an inviting target, brightly colored in red and yellow, while he struts around in dark blue, gray and black. I can almost hear Batman saying to Robin when approaching a dark alley, “Looks dangerous, you go first!” and then silently to himself, “I can always find more of you.” But even though he may be easily replaced, Robin is certainly a viable sidekick and partner. Agree or disagree with this list of sidekicks? We always welcome thoughtful comments. I think McMahon rates above Robin for the pure fact he actually existed or exists. Is Ed still alive? A few more that could go on the list: Sancho Panza, Kit from Knight Rider, Bucky from Captain America, Ed Norton from Honeymooners, George Costanza from Seinfeld and how could you forget Buffalo Bob from Howdy Doody. Barney Rubble should not be above Ed Norton. Barney Rubble IS Ed Norton. Norton is the right choice and should be higher. Ralph: "First you address the golf ball." If you're going to mention Tonto, why not include Pat Brady as Roy Rogers sidekick? And Pancho was the Cisco Kid's sidekick. I forget Gene Autry's, but he had one also. I think this is you best top 10 list. Kato to the Green hornet anyone? Thank You! He could easily kick majority of the people asses on this list, even Robin! There is an error in your article. Since I am an avid Sherlock Holmes fan and have read all the original stories I must be picky for a moment; indulge me! Holmes never once said "Elementary, my dear Watson." He DID, however, say "The game is afoot." I just couldn't let that go. Also, after watching TLOTR trilogy I have concluded that it is Samwise Gamgee that is the hero, not Frodo, who would have perished early in the journey had it not been for Sam's leadership, strength and friendship. Phineus, you are correct, as you already know. I validated your statement at snopes.com (http://www.snopes.com/quotes/signature/elementary…) and sure enough Sherlock never said that in his books. He did say, "Elementary" in the book though. The misquote comes from the 1929 movie, The Return of Sherlock Holmes. So, he did say it, just not in the books by Sir Arthur Conan Doyle. Sancho Panza the definitive sidekick should be on that list. Robin should be first, but where's Kato? Pippen should have made it too tho. 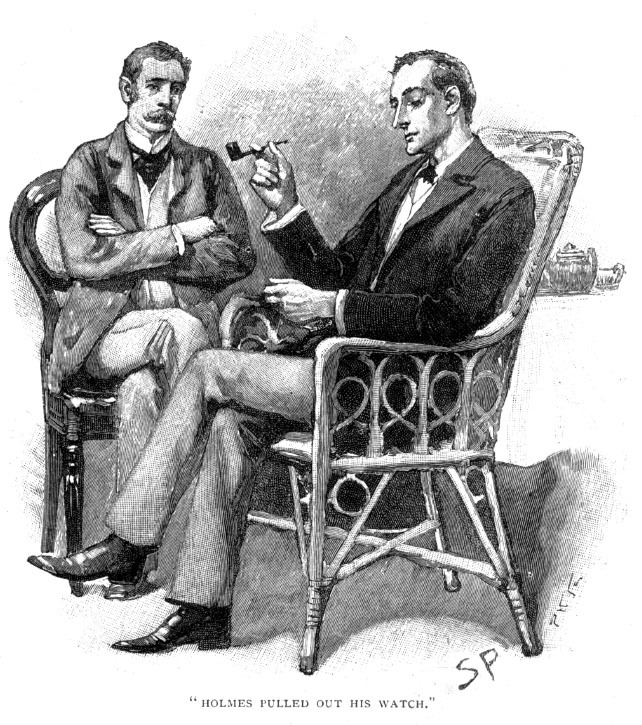 Actually, the words "Elementary, my Dear Watson" were never written in Sherlock Holmes. It's a myth and….well…it's a rather funny one 🙂 However, one of the most common words used in the stories is "ejaculated", as Watson always does that whenever he says something…. How about Ethyl to Lucy Ricardo? Jay to Silent Bob? Amanda to Jigsaw? Bert to Ernie? I'd have to put Robin (in all his incarnations) on the list of worst sidekicks. Is there a list of those on here? Maybe I'll write one. My own favourite has to be Gabrielle from Xena: Warrior Princess. I think she was an inspiration to all of us of a certain age. Let's not forget Gabby Hayes , sidekick in scores of westerns. But Sancho Panza really should have made the list. Excuse me nobody mentioned Linus and Charlie Brown or Calvin and Hobbes . I struggled with list a bit. Nobody loves Hobbes more than me and even today I regret excluding him from the list. I guess to make it up I need to do a top 10 list relating to Calvin & Hobbes. I realize that this may be obscure but what about some of the golden age of television’s teams. Cisco Kid and Pancho, Ralph and Norton, Burns and Allen, Cid Caesar and Imogene Coco, Abbot and Costello, Mr Rourke and Tattoo. I realize they couldn’t all be on the list as you had to narrow it down to ten. The ten you have mentioned are worthy of the list. I would like to submit that you probably have enough sidekicks out there to warrant a second list. How about it. If it is at least half as good as this list, I think it would be very Interesting. While I’m commenting, have you ever done or would you consider doing a list of top ten heroes and their arch-enemies. You know, Holmes and Moriarty, Picard and Q, Batman and Joker, etc. Something in that vein. This was a great list. I thought Chewbacca would have been higher on the list!